To celebrate the season, we're posting a series of dispatches from Gstaad, the Swiss resort town where Mr. Valentino and Mr. Giammetti have wintered for decades. Here is a guide to where to stay in Gstaad, courtesy of brand ambassador, longtime Tribe-member and all-around bon vivant Carlos Souza. If you can't wrangle an invite to the Valentino chalet, the next-best bet is the classic Gstaad Palace. A community mainstay with a terrific restaurant (La Fromagerie) and spa featuring an indoor-outdoor pool, the Palace really starts buzzing around cocktail hour, when many of locals—Mr. Valentino and Mr. Giammetti often included—gather for a twilight tipple. 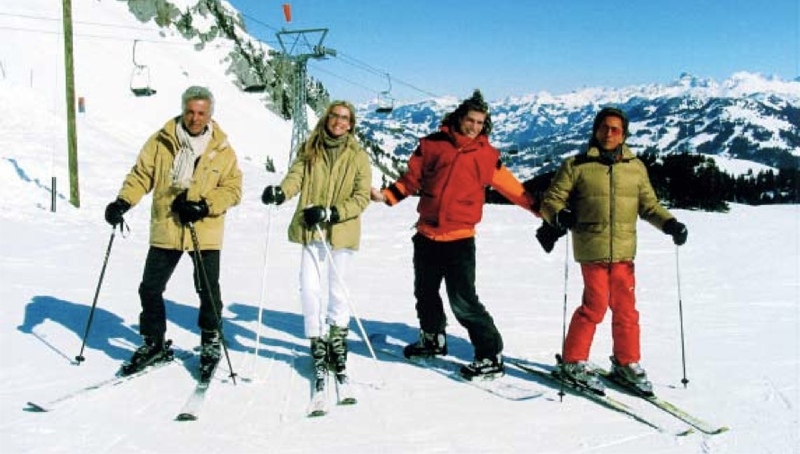 Of course, there's other lodging to be had in Gstaad, and two additional hotels recommended by Mr. Souza are the Hotel Alpina and the Hotel Olden.